I used ground chicken to get my meat component more evenly distributed into the rice dish. It would also be possible to use chunkier strips or slices of course. 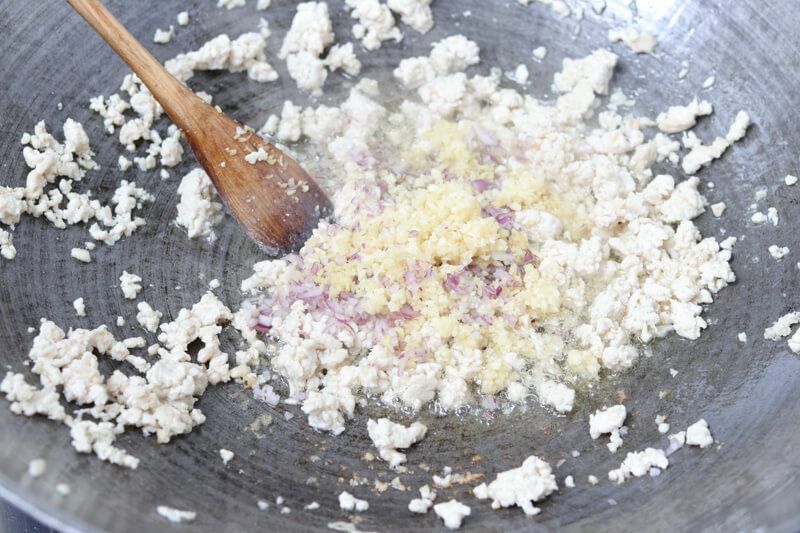 Once the ground chicken is fully cooked in your pan, add the aromatics in. 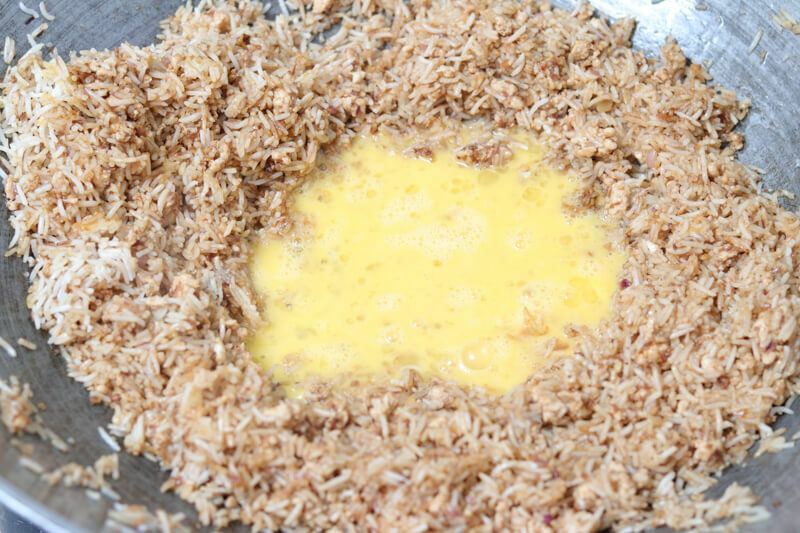 Sautee the garlic and shallots until slightly soft and aromatic, just make sure that they don't start burning. The shrimp paste goes in next. This should take just a bit of sauteeing since I went for those pre-cooked pastes that come in bottles. The cooked rice goes in next. 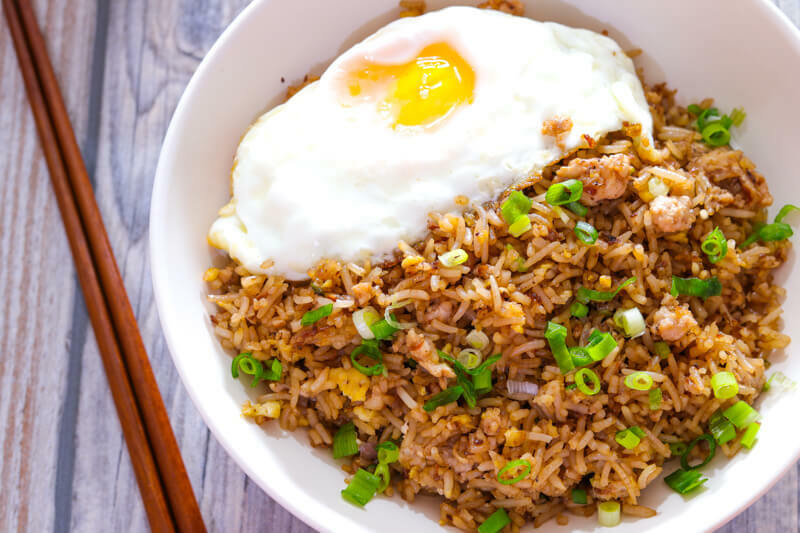 When making any fried rice dish, I strongly suggest that you cook your rice a day ahead and store it in the chiller. This overnight rest should make those grains stronger so they don't easily break as you stir them with the other ingredients inside the wok. The seasoning goes in now. Using authentic Kecap Manis would of course be necessary for authentic results. 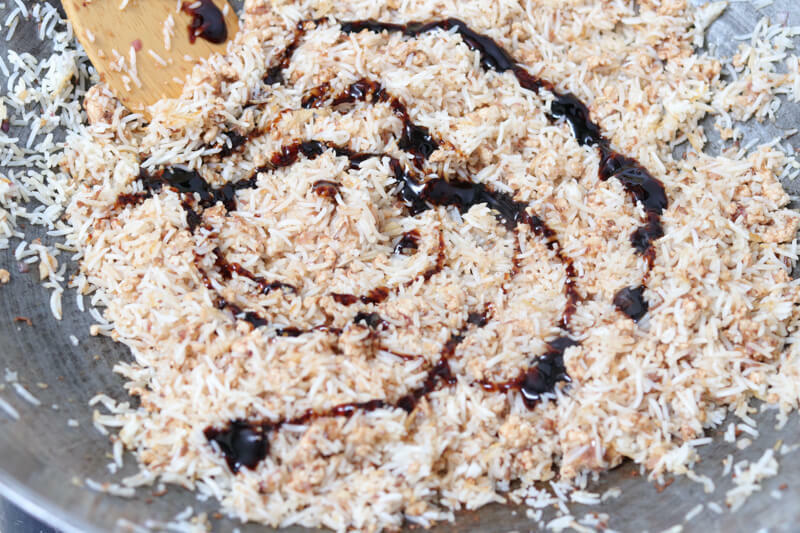 It does have a distinct sweet and smoky flavor, that you won't get from ordinary types of soy sauce. 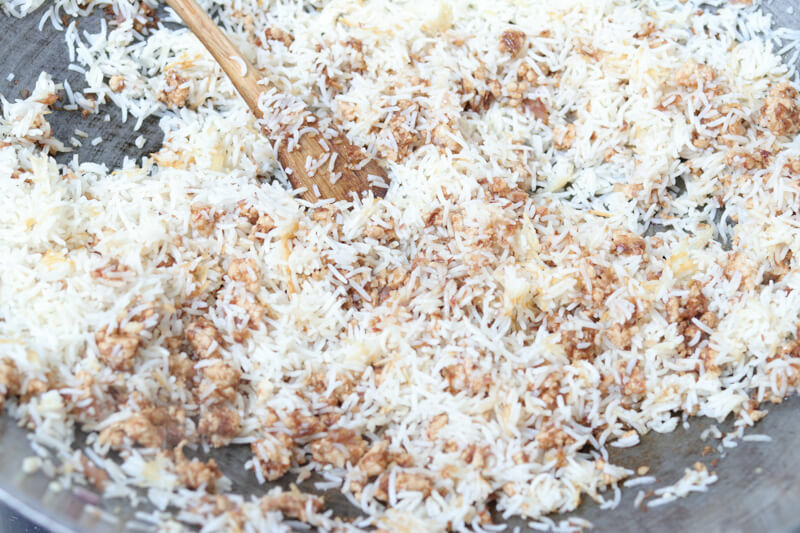 It would also be common to add some fish sauce at this point for more flavor. 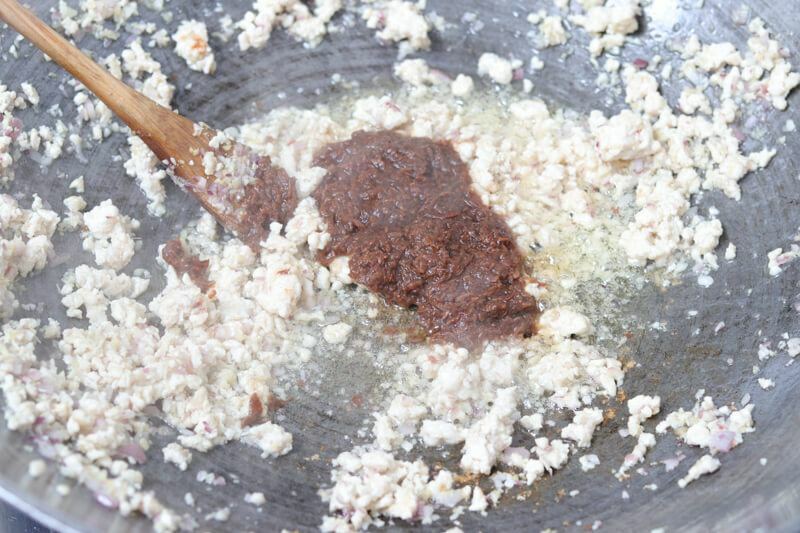 However, I do find the flavors from the shrimp paste and kecap manis enough for my taste. 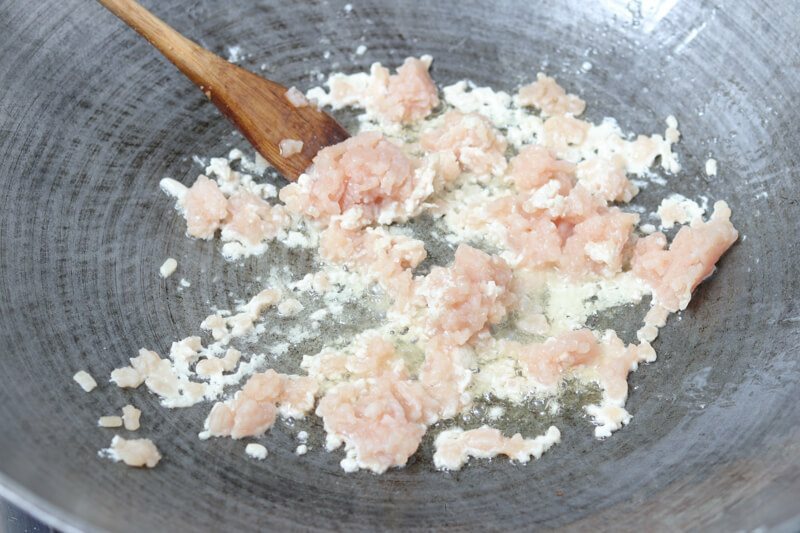 Push the rice to the sides of the wok, making a well in the center. Add a little splash of oil, pour the beaten eggs in and give it a minute or so to cook. 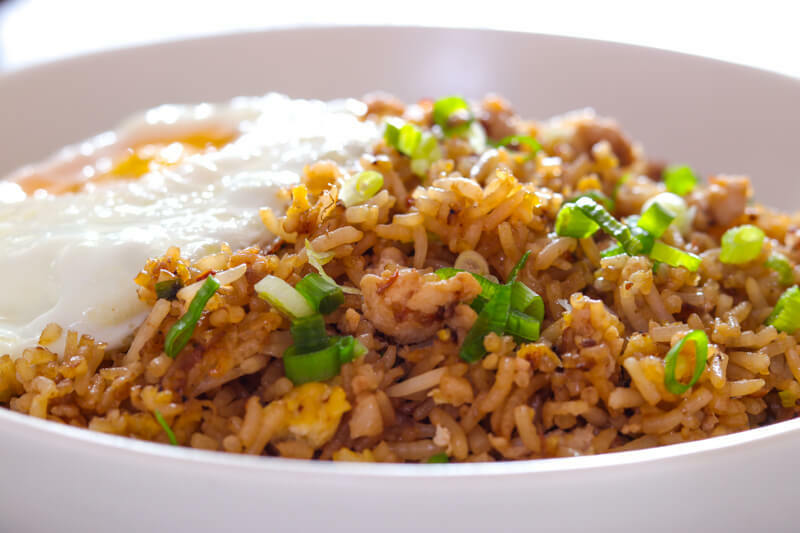 Then, break the eggs into pieces with your spatula and toss it into the rice. 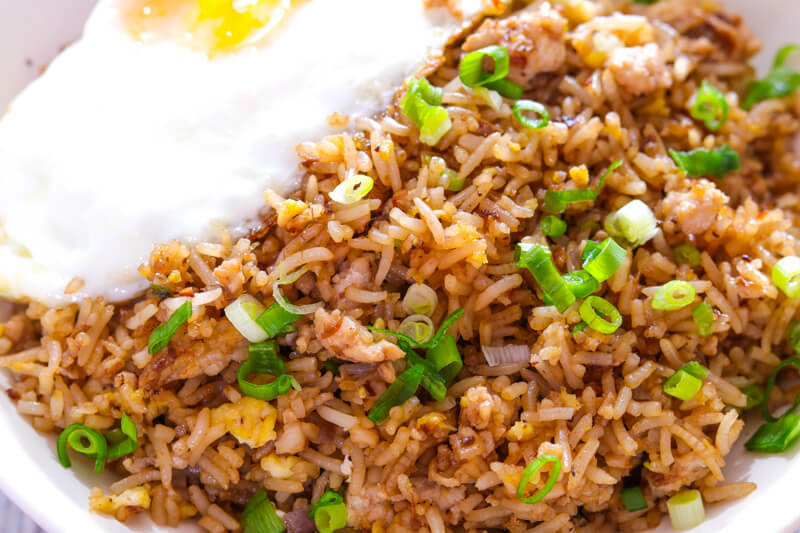 Alternatively, you may fry the eggs in a separate pan and cut it into strips before tossing them into your Nasi Goreng. 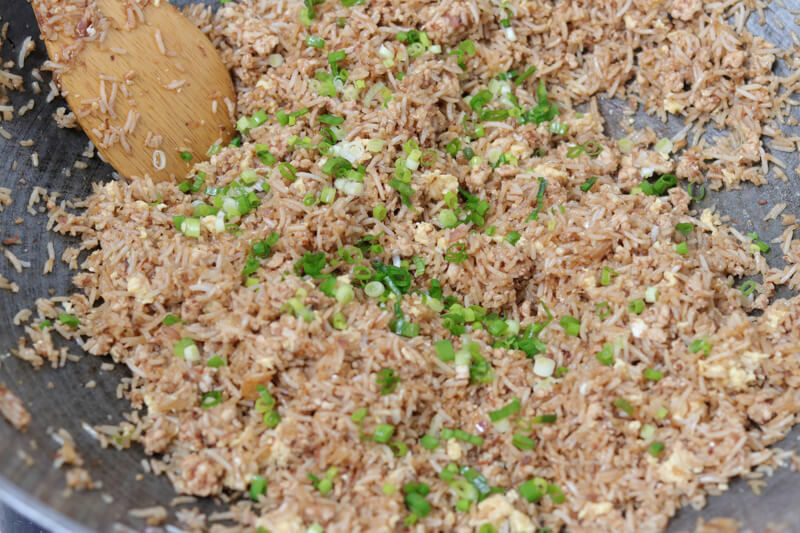 Finally, give your rice a final seasoning of salt, fish sauce, or kecap manis, and top it with some chopped spring onions. 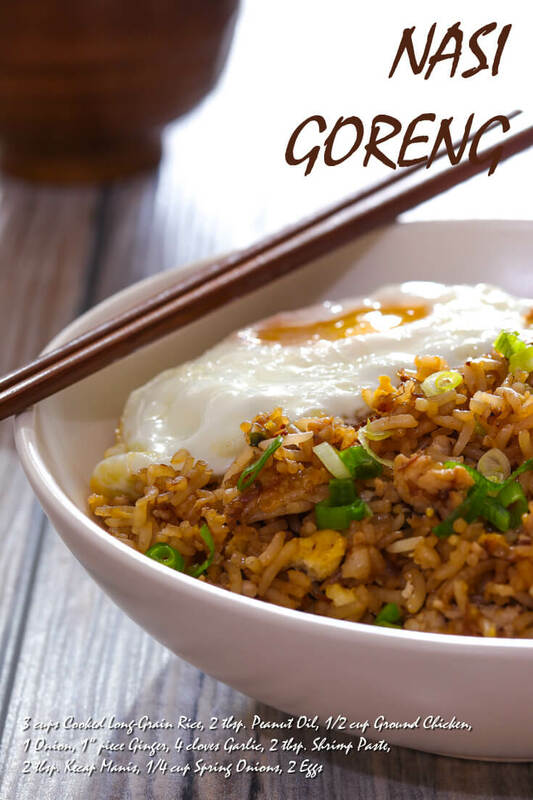 Typically served with eggs, this excellent fried rice dish is indeed a tasty meal on its own.